Taking W. S. Burroughs as a point of departure, Interzone was premiered as a concert at Konzert Oper 04 Produced by Berliner Festspiele. 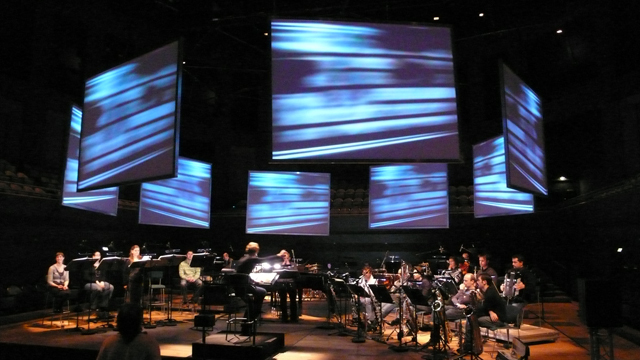 Eight right-angled white screens form a circle around the public and the musicians. Music: Enno Poppe. Libretto: Marcel Beyer. There are three iterations of this project: one for live opera, a stand-alone four channel video installation and a single screen version for cinema screening.